Power Probe USA is the market leader for electrical diagnostic testers. Diagnosing a hard to reach electrical problem can be a real headache. The right tool for the job can make all the difference! 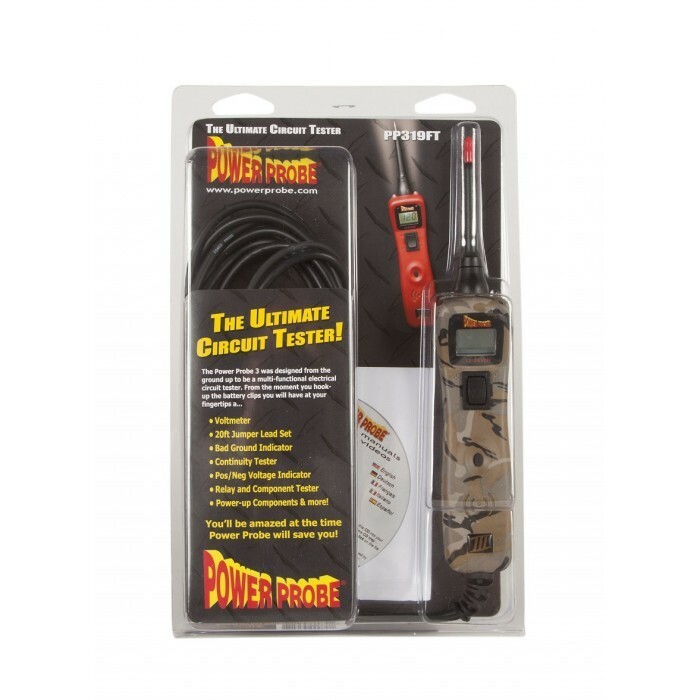 Once you connect the Power Probe III to your car battery you will have access to an amazing variety of diagnostic functions. Camouflage graphics on the outer shell.